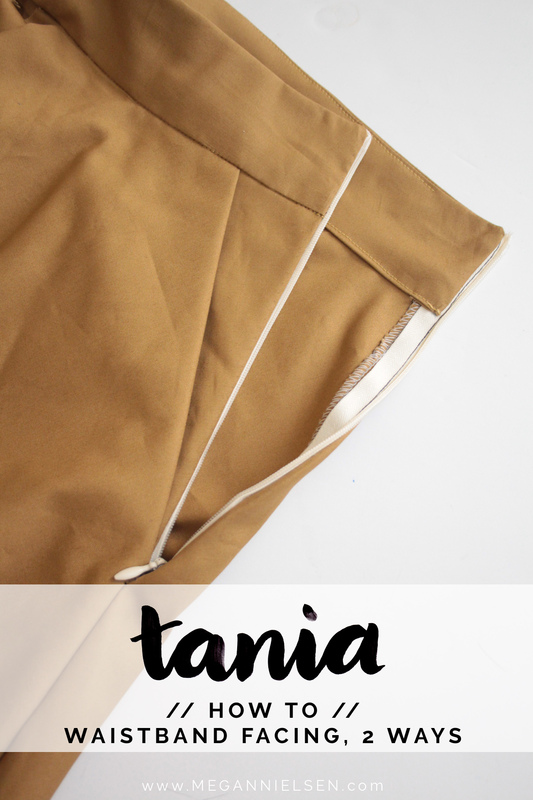 As far as the main construction of the Tania culottes, the only other thing that changed is how we attach the waistband facing. 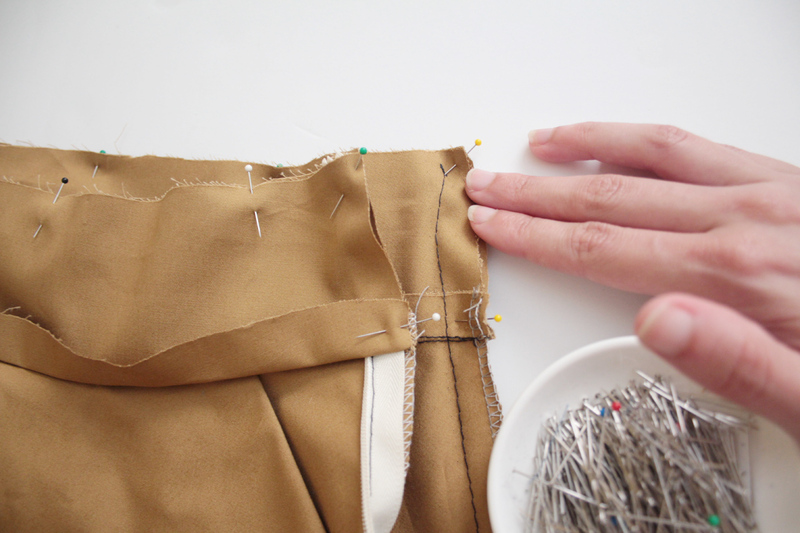 The new method is very similar to the method used in the old instructions, but it now reduces the amount of hand sewing needed. But no worries! I’m actually going to show you both methods and you can decide for yourself what you’d like to do. You know, in case you really like hand sewing! This is the method that is included in the instructions of the newest version of Tania. 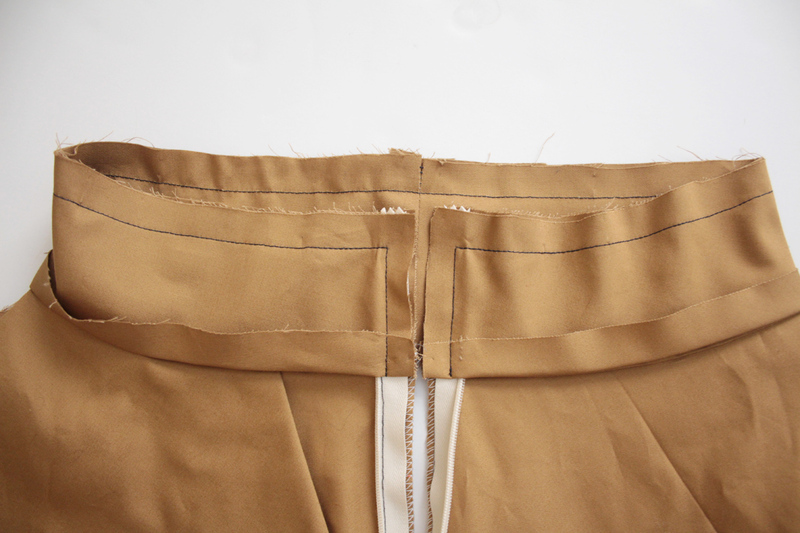 Start by turning up the lower edge of the waistband facing by 5/8″. 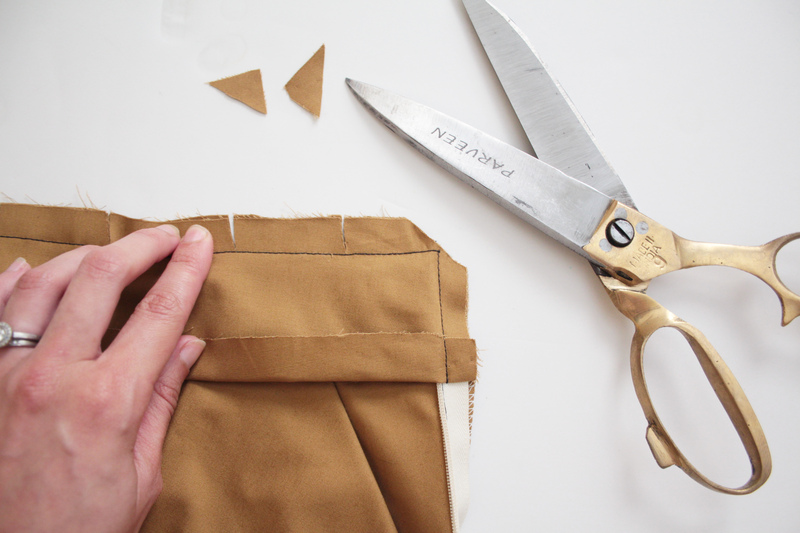 Lay your culottes down in front of you so the right side is facing up and the zipper is unzipped with the zipper tape and seam laying open and flat. Place your facing down on top of your waistband with right sides together. 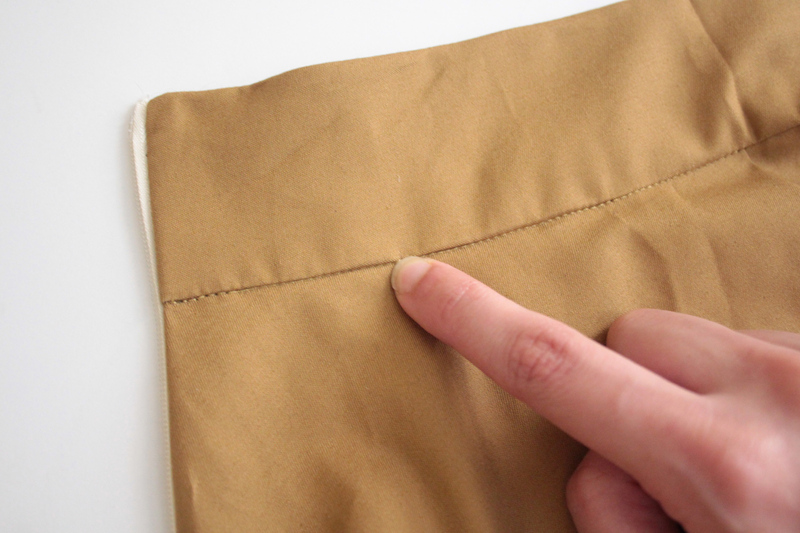 Ensure that the corners, notches, and right side seams line up. 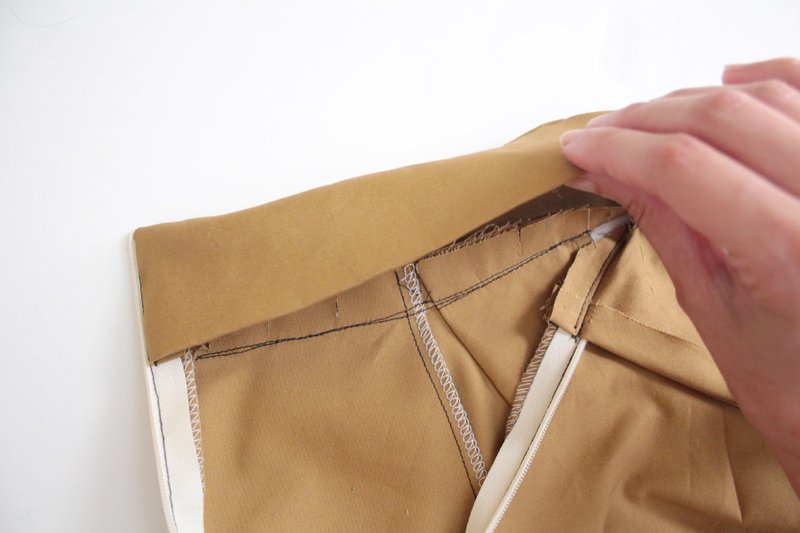 Using a narrow zipper foot, start sewing along one of the short sides of the facing 1/2″ from the edge. 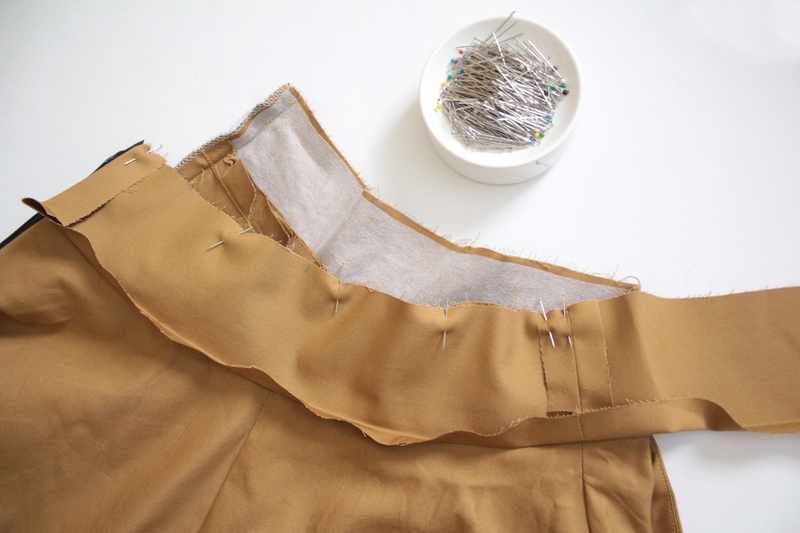 This seam allowance is important – you want to be catching the zipper tape in between the facing and culottes, but not catching the zipper teeth. When you are 5/8″ away from the top edge, pivot your needle and sew 5/8″ from the edge along the entire top edge. 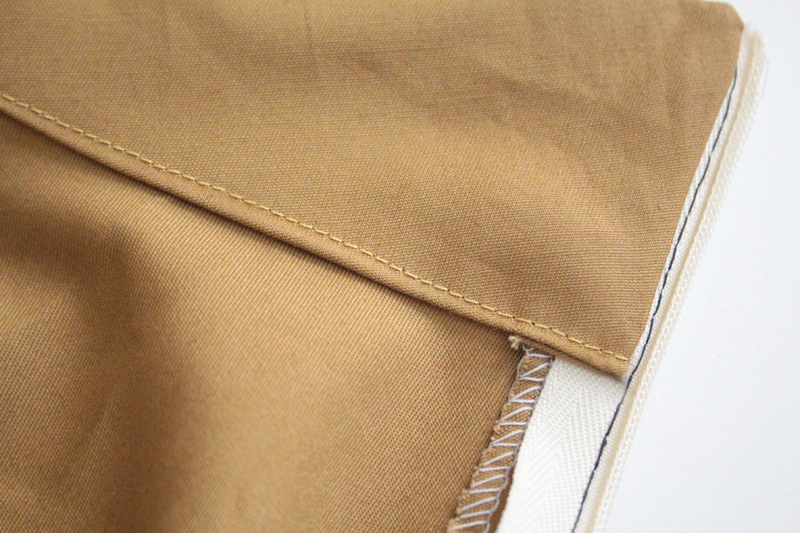 When you are 1/2″ away from the other short edge, pivot and stitch down that edge. It should look like the above. Clip the corners. Also clip into the seam allowance about every inch or so, being careful not to snip through the stitches. 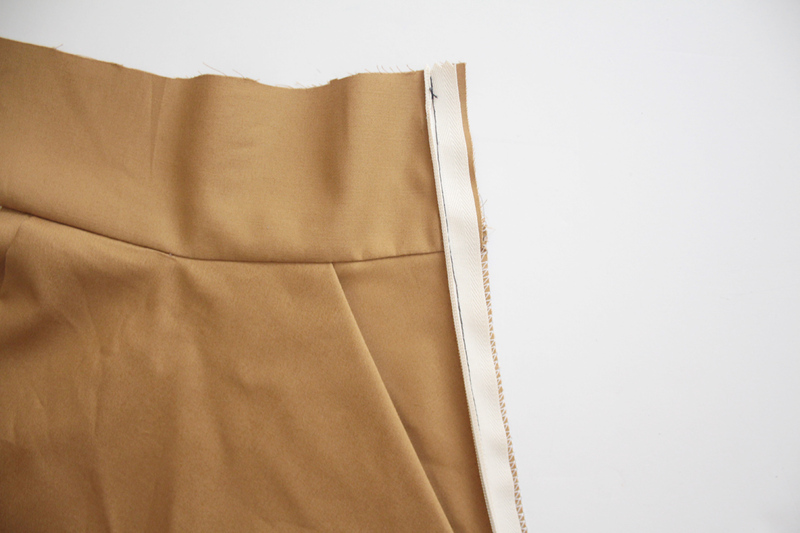 Turn the facing right way around so it is now on the inside of the garment, and encloses the raw edges. 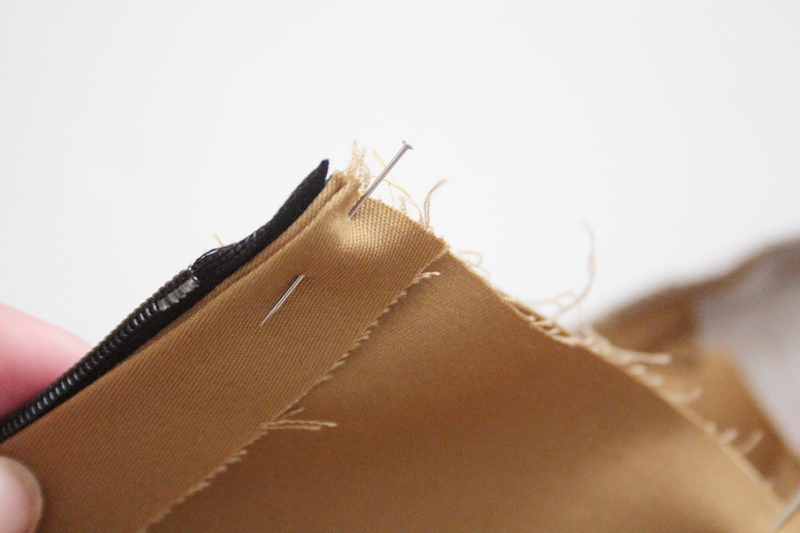 If you can, under stitch the seam allowance to facing along the top edge as much as possible. You won’t be able to go all the way to the short ends, but get as close as your can. 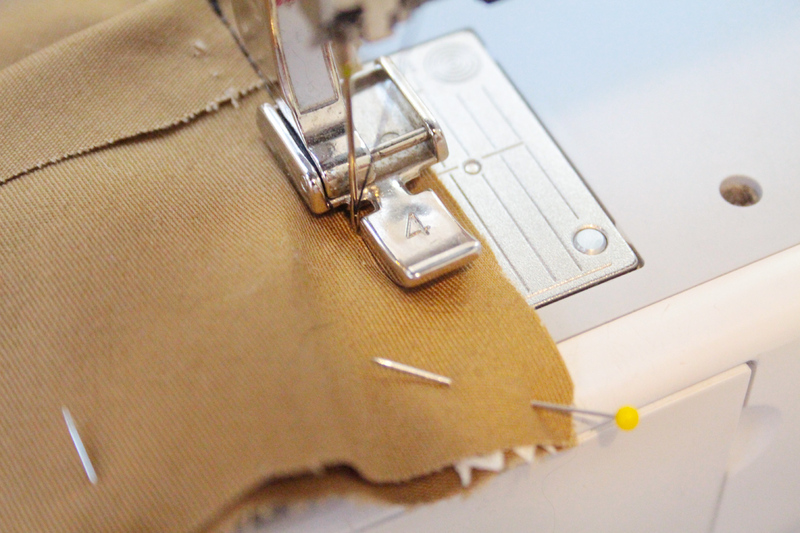 Lastly, press the facing down well, and either stitch in the ditch or hand stitch to enclose. I chose to stitch in the ditch, as you can see above. From the front, stitch right in the seam, catching the facing from the wrong side. This method is what is used in the older version of Tania. It’s very similar, but just involves some extra hand stitching at the end. 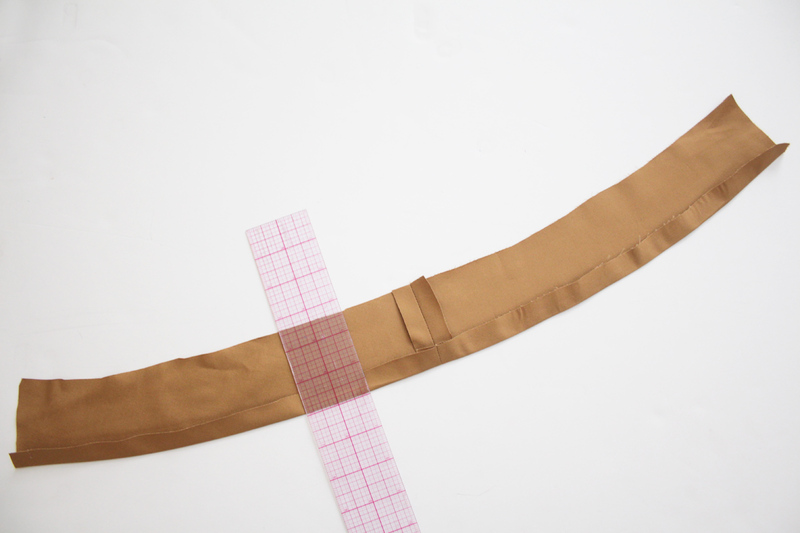 On the waistband facing, first fold inwards along the side edges by 3/4″. 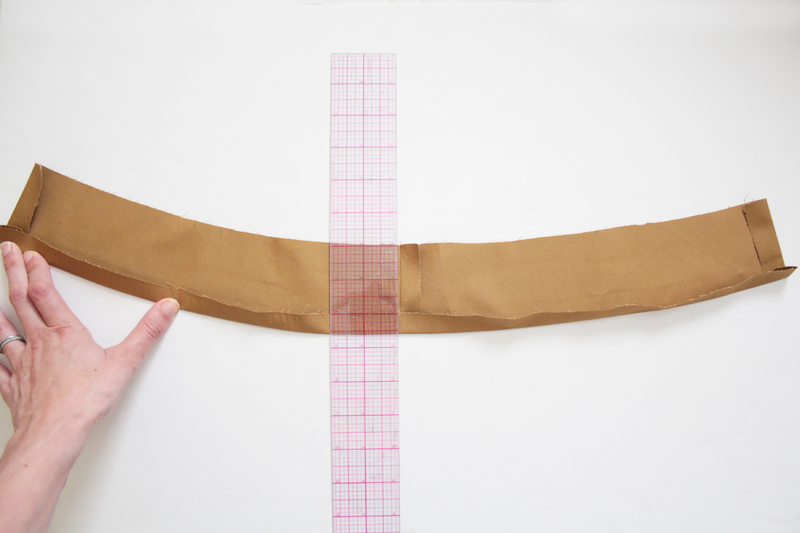 Then fold inwards along the bottom edge by 5/8″. 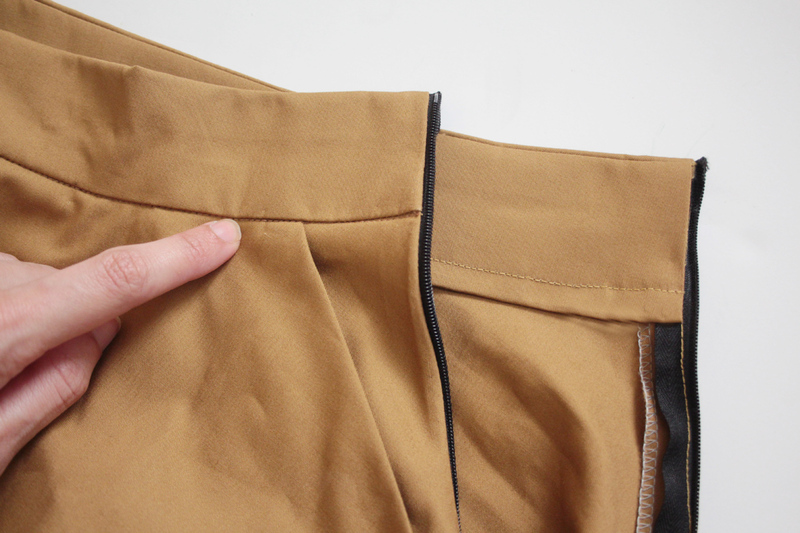 Unzip your culottes and lay them down right side up. But with the zipper tape as normal, not opened up and flat like in method 1. Lay your facing down on top of the waistband, right sides together, lining up the top edge and matching the right side seams. Pin all along the top edge. You’ll notice that the facing is just a tiny bit shorter than the waist – which is what you want. Stitch along the entire top edge, 5/8″ from the raw edge. 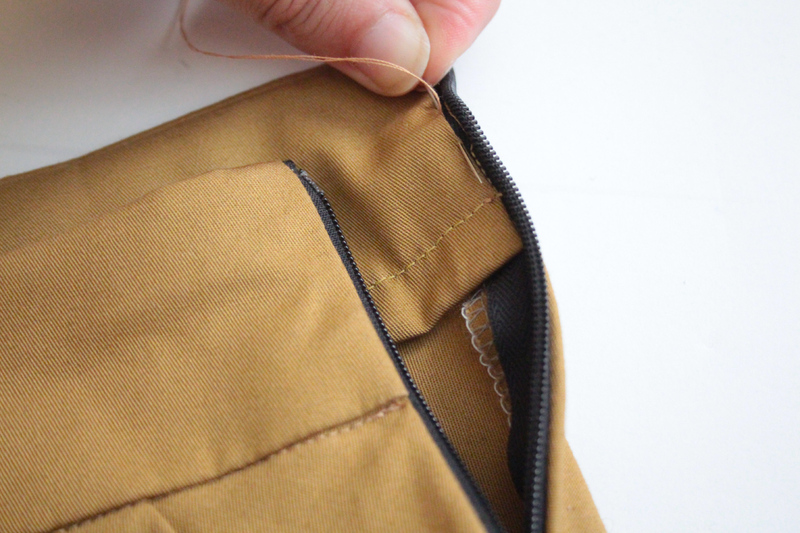 At the ends, you should be stitching over the zipper tape, but not the zipper teeth. 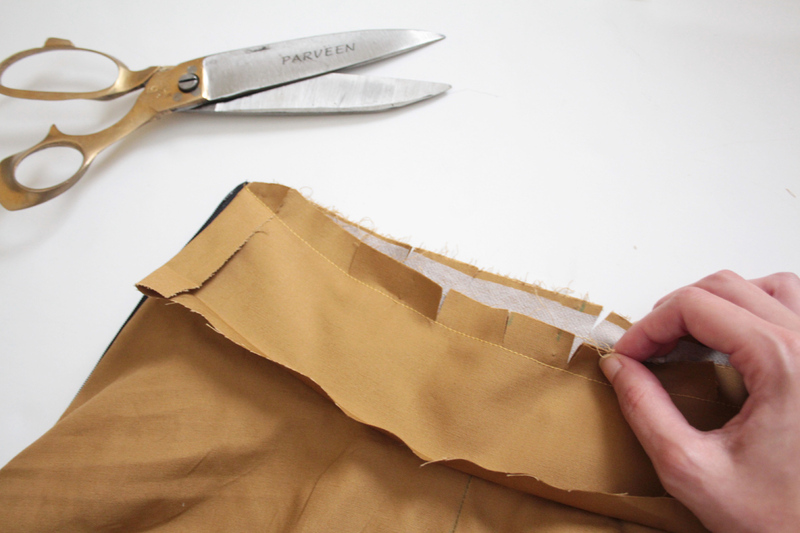 Clip the corners, and clip along the seam allowance – being careful not to snip through the stitching. Turn the facing right side out towards the inside so that it encloses the raw edges, and press. 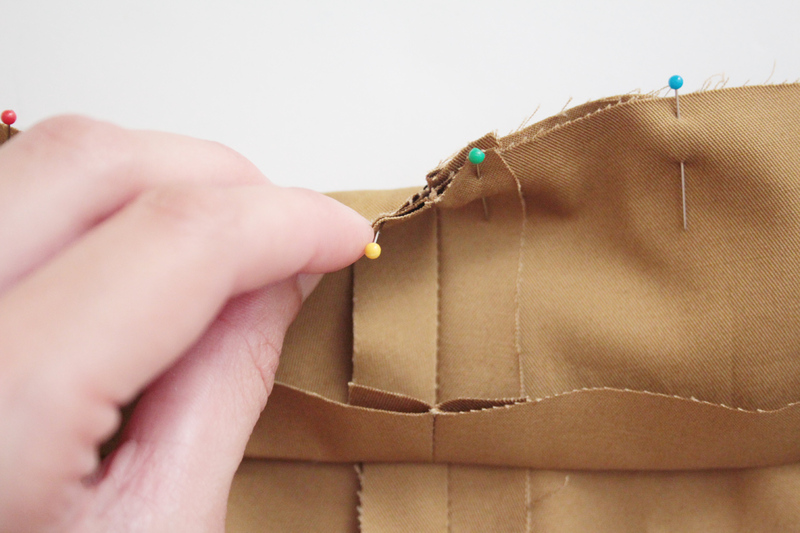 Just like with the other method, either stitch in the ditch or hand stitch along the bottom edge of the facing. What is different about this method than the first one, is that it doesn’t automatically enclose the side edges. So now you need to hand stitch the side edges to the zipper tape. But that’s it! Easy peasy! Again, either method works just fine, so it’s all about personal preference.